Now that you can download the photo app on any devices, includes both iOS and Android phones. We have got you covered with the most comprehensive mobile tools available on the market today. Our app will let you add images to the quote without any physical connection to the computers. Designed with care to enable you to effectively manage the photos on the device. Supports iOs, Android, Windows CE based multiple devices. Transfer as many images at a time, to multiple quotes effectively saving time. Designed to ease your work and architecture for meeting the latest technology. With easiness in mind we have presented you with the app having few steps to transfer images to iGen. 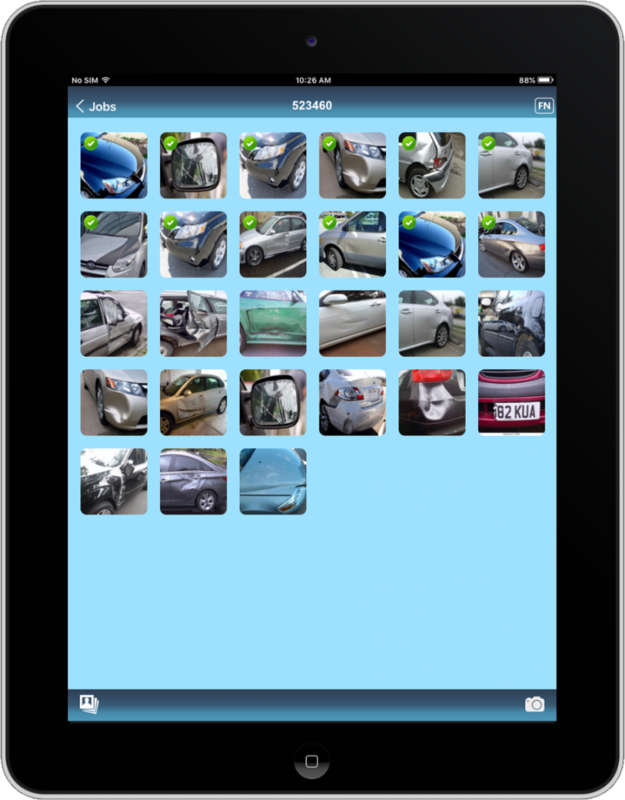 Load the vehicle damage images from your images library or take pictures on the go, it is made easy to attach the images to multiple quotes at a touch of the button. 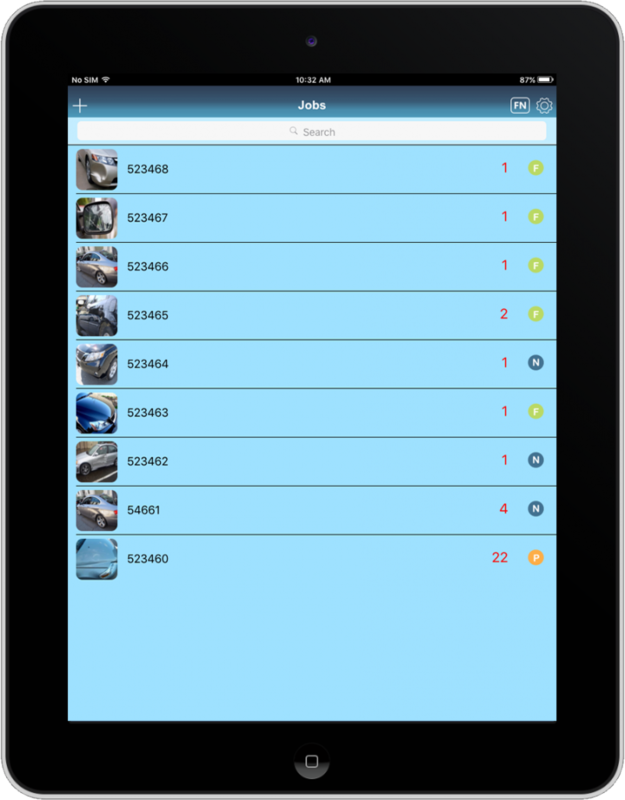 The jobs are listed along with the number of images in the jobs folder with the status of the job. You can choose to upload multiple job folders at a time or open a job folder and upload the images selecting them. We have also allowed you to move images from a job folder to another with one-button option. 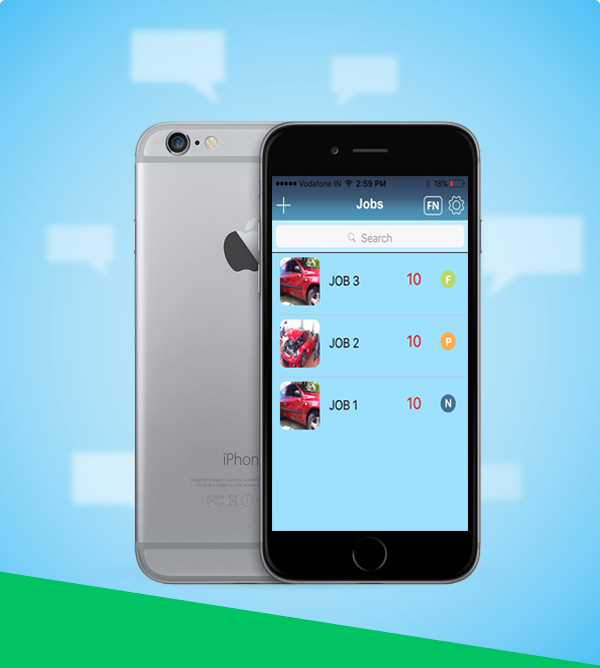 From the home screen you can configure the app, create a new job and manage them. When you choose to upload images, the progress of the upload can be seen on the app. You can choose to upload all the images in the particular job or select only few of them and get them uploaded. The uploaded pictures are crowned with a green check mark. Easy to identify what images have been uploaded from any new images.